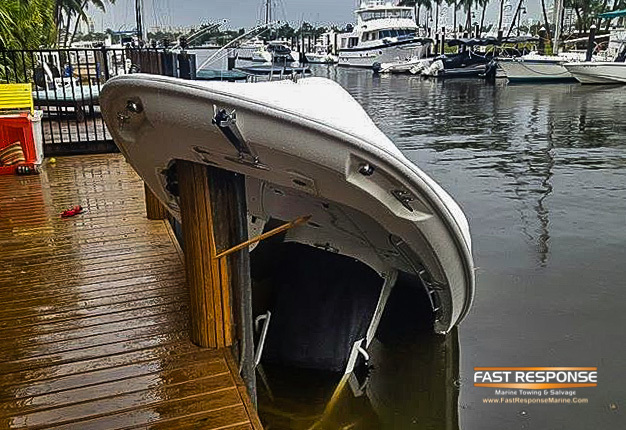 High winds flipped this boat and landed it on a dock piling during the severe storms that passed through Miami and surrounding areas February 16-17, 2016. Fast Response was called in to salvage it. Previous Post A beautiful morning for a tow Next Post We recover it all, including submerged cars!